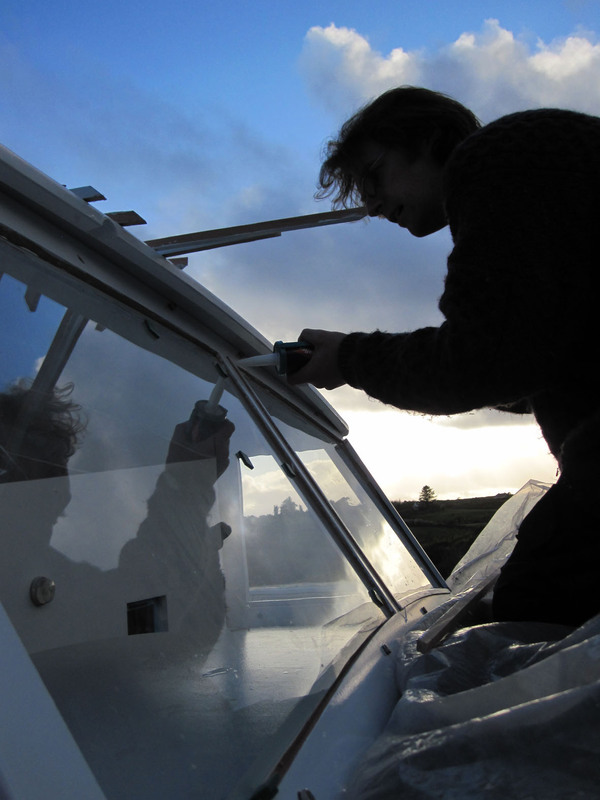 Here’s are nice arty kinda shot of me glazing the windows of the cockpit canopy of the river cruiser that I’ve been working on the last while. The stops only needed pinning on the top as the others were a nice tight fit and will be held in with the mastic. As you can see I’m working on the boat late into the evening, I’m trying to make as much of the good weather as possible. 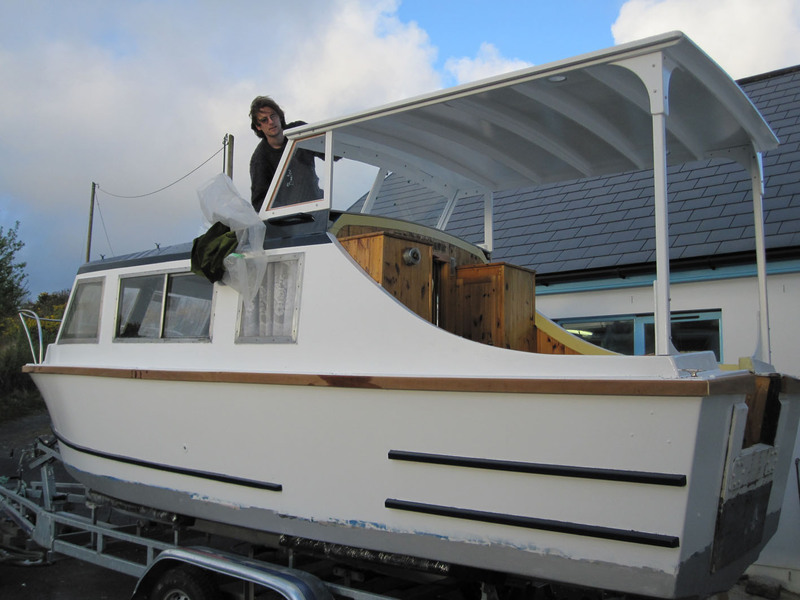 Here’s the boat from another angle, The transom where the engine mounts and the cockpit will be redone next winter. The owner wants to get a feel for what will work best. 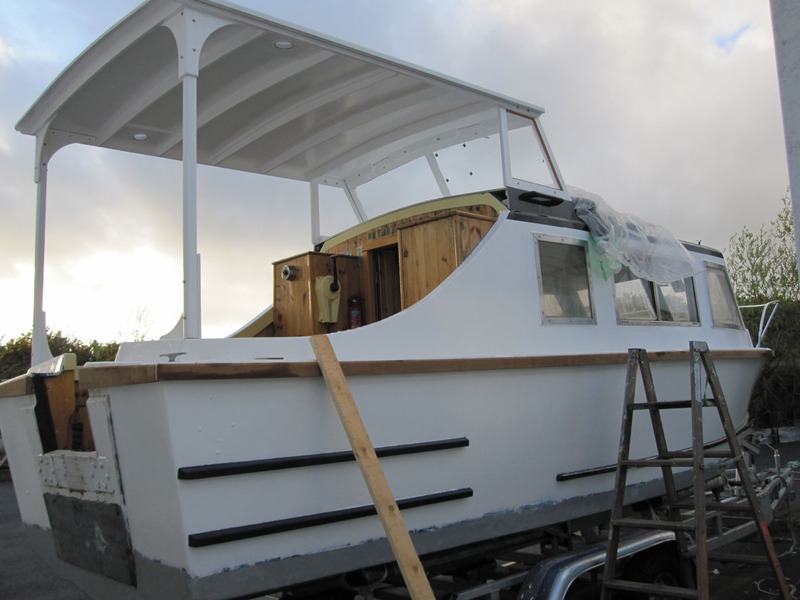 The corner supports are a little over engineered as the boat will be in and out of locks with much larger boats and it’s only a matter of time before some one or something will try and push the boat at the top of the canopy.